UNBELIEVABLE … Sen. John McCain (Rino-AZ) says in an interview that he does not know whether Donald Trump will be better in nominating justices to the US Supreme Court than Hillary Clinton. Seriously? If McCain a so-called Republican, does not know whether the GOP candidate for President would or would not be better in selecting possible justices to the SCOTUS over a bed-wetting liberal and proven liar like Hillary Clinton, maybe its time for him to retire. If you ever wondered what happened to the Republican party, look no further than “mavericky” GOP Senator John McCain. What a bunch of crap coming from the RINO and former failed establishment Republican presidential candidate. This fools answer is to block Hillary Clinton’s SCOTUS nominees, yet in the same breath he is saying that he does not know if Trump would be any better? As stated at Hot Air, this is the one subject we know that all Republicans can agree with when it comes to The Donald. Trump has already released a list of 20 potential SCOTUS nominees and none would be questioned by Republicans. 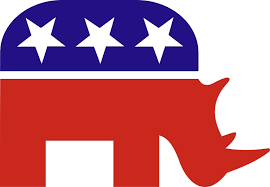 Sadly, this is what has gone wrong with the Republican party, establishment candidates need to be flushed out and replaced with those that actually care about the country and not their own political power. This is exactly the kind of Republican establishment BS that Americans have grown sick and tired of. Really, the gutless and spineless establishment Republicans like McCain are going to unite and block a Hillary Clinton SCOTUS nominee? No you are not. The GOP was given control of the House to stop Obamacare, they did nothing. The GOP was given control of the Senate to repeal Obamacare and balance the budget, they did nothing. What makes any Republican think these gutless wonders would stand up to Hillary Clinton? It is rather comical when the establishment GOP blames others for what they themselves have caused. Mitt Romney, the failed, gutless, Republican presidential candidate who lost to a weak and wounded Barack Obama in 2012 now wants to blame others for the rise of Donald Trump. REALLY? Who the hell would take advice or even listen to a guy who lost to Obama because he did not take the gloves off and attack him. 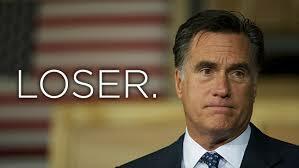 Instead Romney put on the mittens. A note to Romney and the mushy middle of the GOP … you are responsible for OBAMA!!! Sorry if I don’t take advice or scorn from a man who lost a presidential race to a wounded and defeatable Obama. Dude, you lost your race, now shut up and go away. You are just as much to blame for the rise of Trump as anyone. Quit your whining and support Trump, unless you want Hillary as president. Mitt Romney laid into the large and rambunctious group of 2016 Republican candidates here on Saturday, arguing that they deserved a share of blame for the rise of Donald Trump. During a question-and-answer session with CNN anchor Wolf Blitzer before around 250 Republican donors gathered here for the Romney-hosted Experts and Enthusiasts summit, the former Massachusetts governor said this year’s group of primary candidates misplayed their hand. By spending months attacking each other and ignoring Trump, he argued, they made a severe tactical error that allowed Trump — who Romney has criticized as a “con man” and a “fraud” — to escape unharmed. Romney reserved particular scorn for Texas Sen. Ted Cruz, who Romney endorsed late in the primary process. The Texas senator, he pointed out, spent extensive time during the campaign praising Trump. He also said Ohio Gov. John Kasich had divided the anti-Trump vote by remaining in the race long after it had become clear he didn’t have a realistic pathway to the nomination — a message he said had relayed personally to the Ohio governor. And Romney chided Right to Rise, the $100 million-plus Jeb Bush super PAC that spent heavily to tear down Bush rivals other than Trump.